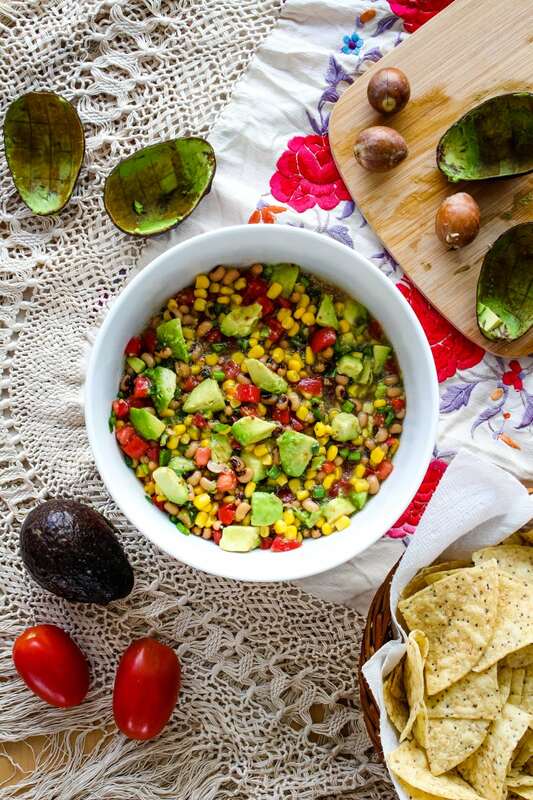 Avocado Texas Caviar is an easy to make appetizer that comes together in just minutes! It's perfect for parties and game day get-togethers! It's funny how some things have a different name depending on where you live. For instance, my husband and I have a different name for soda. I call it soda, he calls it pop. And I call sneakers sneakers, while he refers to them as gym shoes. This recipe is one of those weird things that has more than one name. 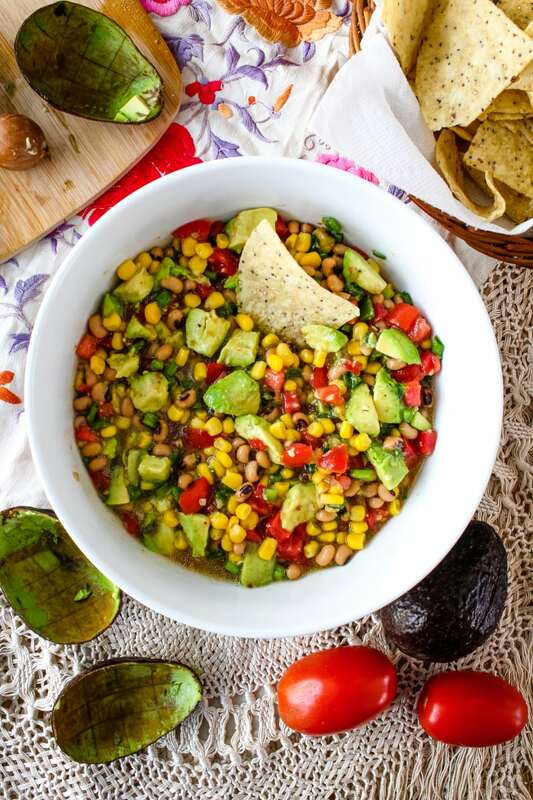 Whether you call it Texas caviar, cowboy caviar, Texas salsa, or plain old corn dip, this recipe is definitely one you will want to make again and again. These are so many reasons why you should try this appetizer recipe! First, it's super easy to make. Everyone needs a handful of uber easy-to-make recipes to round out a party menu. 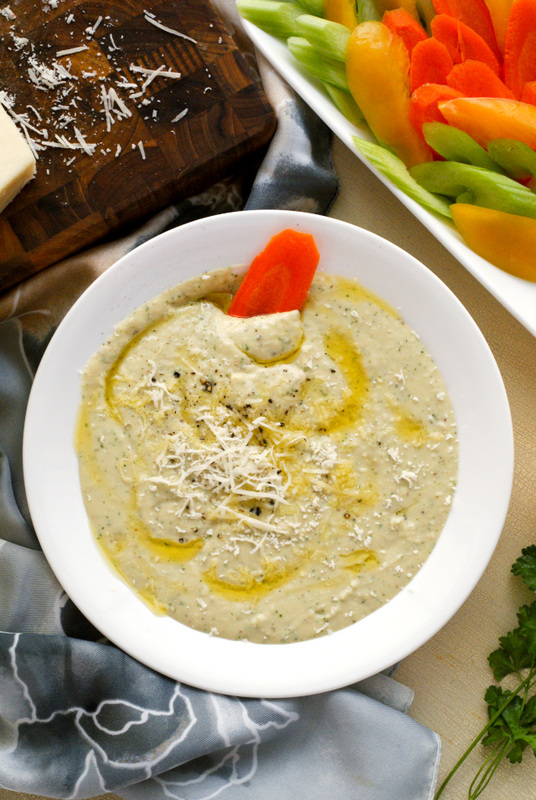 Open a few cans, chop a few veggies, and voilà...you have a large batch, crowd-pleasing dip that's perfect for any occasion. Second, it makes a ton of dip! Not literally a ton, but you'll have a nice big bowl of dip when you're done, which is always a plus when you're cooking for a crowd. No one wants to be the host that runs out of food! 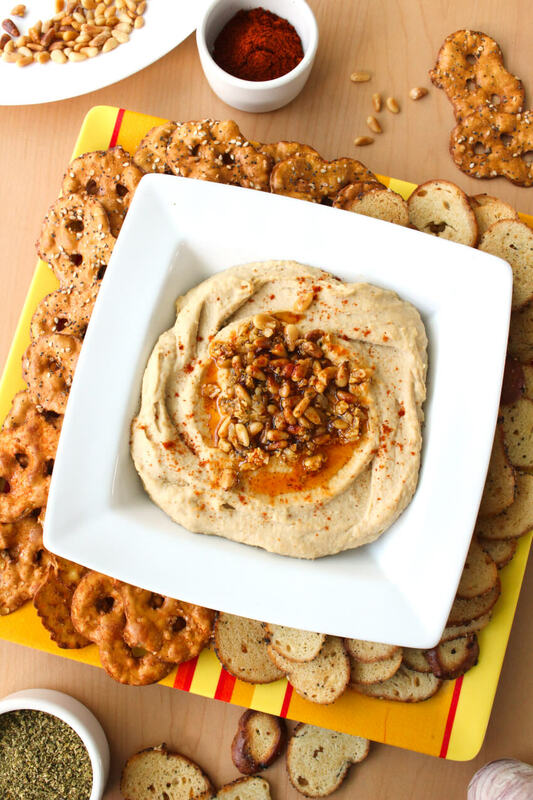 This is the perfect appetizer for a large gathering like a Super Bowl party! 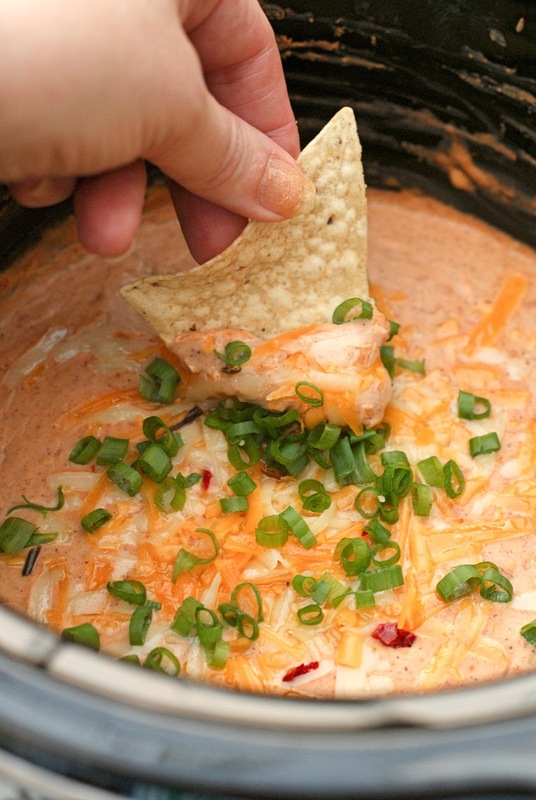 There is enough dip to feed all of your guests and you'll still probably have some leftover. 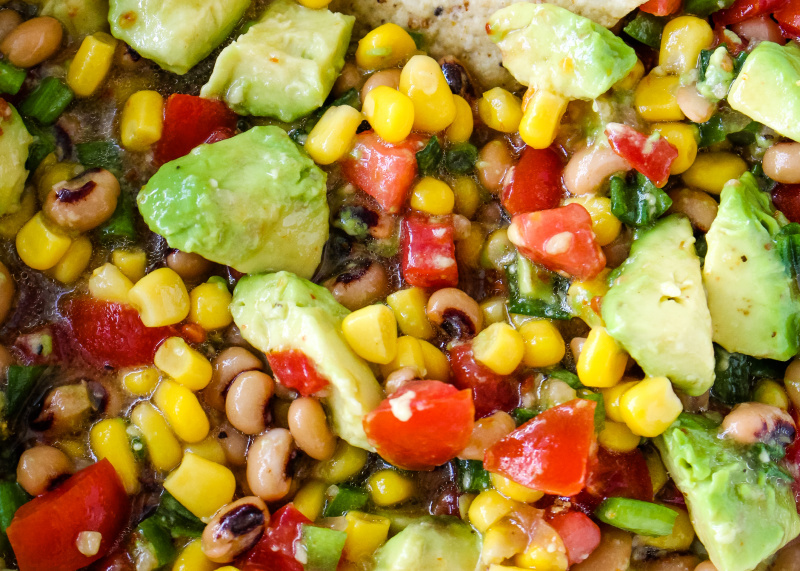 A note on leftovers: Leftovers taste just as good the next day, but any avocados sticking out of the top of the bowl will oxidize and turn a little brown if they're exposed to the air. Avoid this by making sure your avocado is buried under other dip ingredients before covering and storing in the fridge. Here's an idea...how about leftovers as a taco topper?! Yes! I'll be honest, I also kinda love this dip for the simple reason that it is just so gosh darn pretty. Pretty food makes me all kinds of happy and this dip is like eating the rainbow! You eat with your eyes first, right?! If you try this recipe, I'd love to know what you think in the comments below. Enjoy! Still looking for even more party dip inspiration? 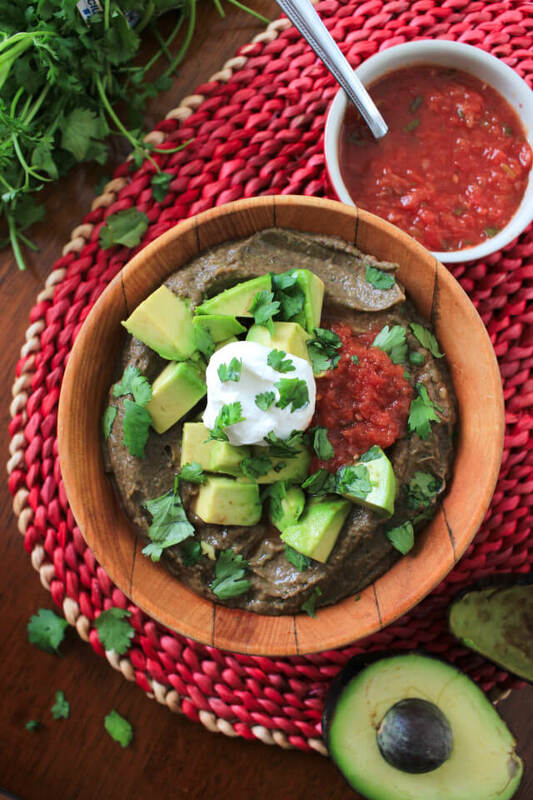 Check out some of my favorite dip recipes from the archives. These all feature beans! 1. 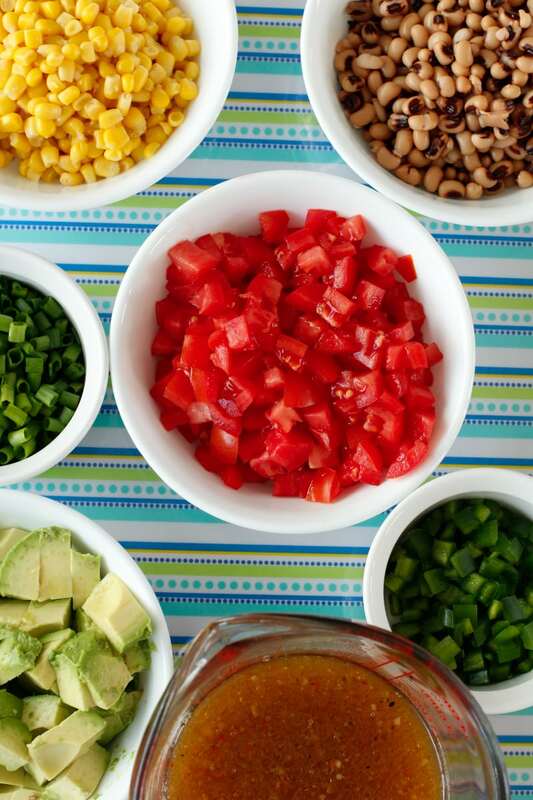 Combine the corn, black-eyed peas, tomatoes, green onions, jalapeños, and zesty Italian dressing in a large bowl. Stir to combine. 2. Remove the pits from the avocados and chop the flesh into cubes. Stir into the bowl. 3. Cover and refrigerate for at least 30 minutes. Serve with tortilla chips for dipping. 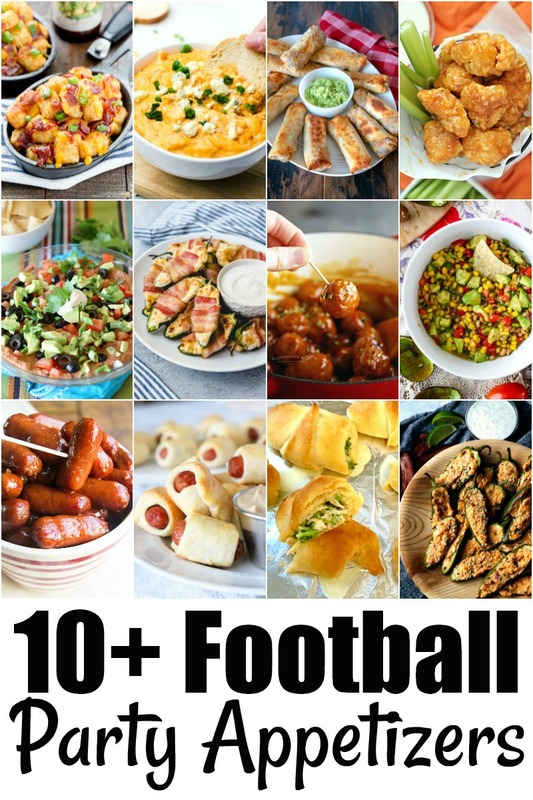 If you are looking for more Football Party food inspiration, you'll love these game day worthy recipes from some of my foodie friends around the web! 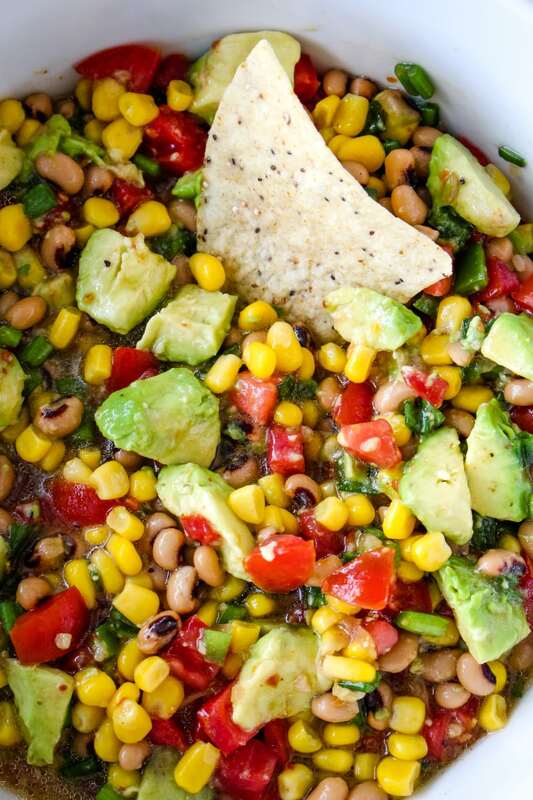 Avocado Texas Caviar You are here! I love that this dip can be thrown together so quickly, because I never seem to have enough snacks on game day! This is always a hit at my house.